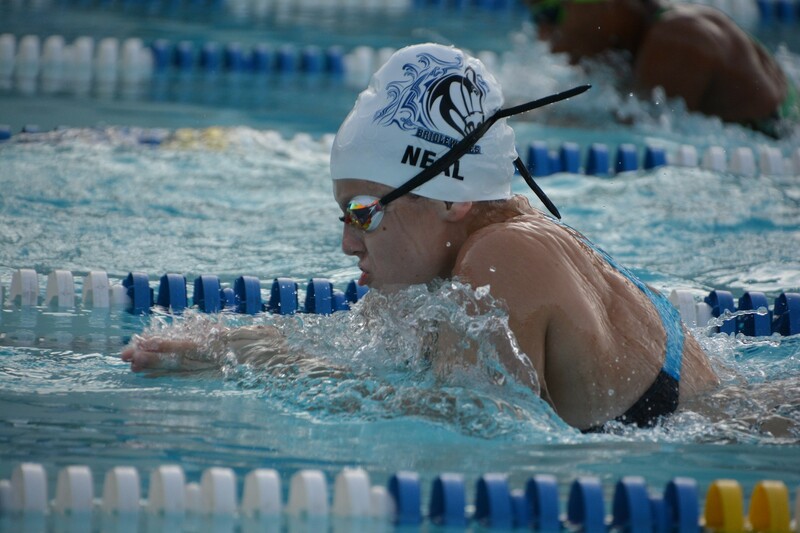 Feature Photo: Kaley Neal stepped up to help the BWaves take the victory, breaking two team records from 2006. The 2018 Summer Season came to a close with Divisional matchups across Prince William’s Swim League. For the Bridlewood BWaves of the Red Division, that meant heading back to Dominion Valley to defend last year’s title against the hosting Sharks and the Stingray of Ashland. The good news was that the weather looked to be nearly ideal for a swim meet. The bad news for the BWaves is that the Sharks came looking for revenge. Dominion Valley got right to business, claiming the top time in four of the opening relays. The BWaves answered with five first place finishes on the strength team records in three of the Medley events. 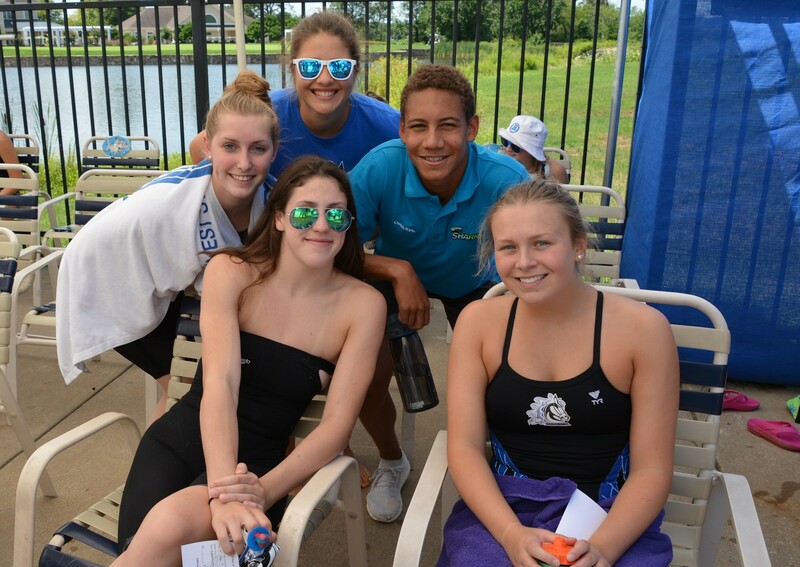 The 8&U Mixed 100m Medley relay group of Tyler Terhaar, Ellie Wells, Jacob Thorpe, and Noel Rahmouni set a new standard of 1:26.08, while the 9-10 Girls quartet of Madalyn Witt, Hazel Klein, Makenzie Witt, and Carli Wells completed their 100 meters event in 1:14.90. Not to be outdone, the 13-14 Boys team of Joe Durocher, Brandon Gardner, Ryan Chmielenski, and John Verosko broke the league record in their 200m Medley Relay with a time of 2:01.57. And though that record would be eclipsed later in the day by Piedmont’s relay, it was just the jolt of adrenaline the BWaves needed to head into the individual events with a 52-point advantage. 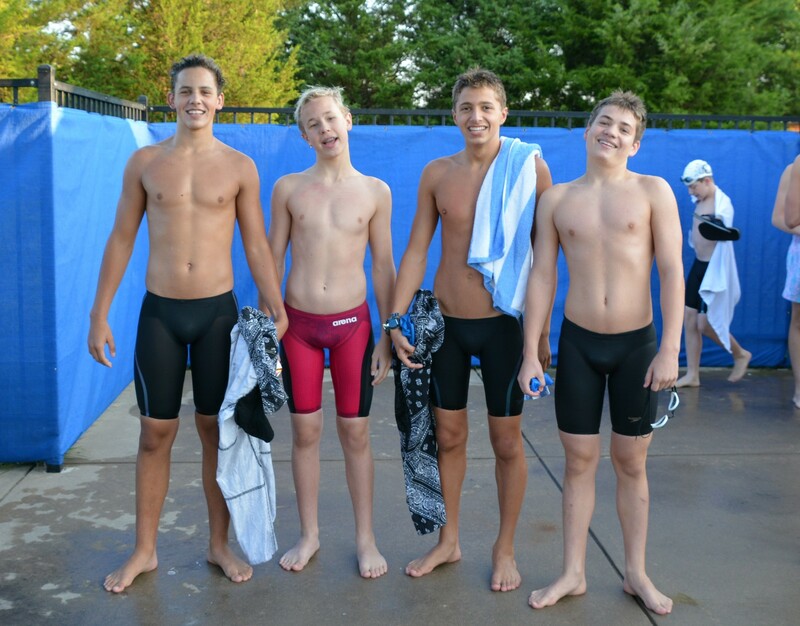 The BWaves’ 13-14 Boys Medley Relay team set the pace early with a new league record. The BWaves watched their lead dwindle through the freestyle events, but saw 4 team records fall in the stroke. 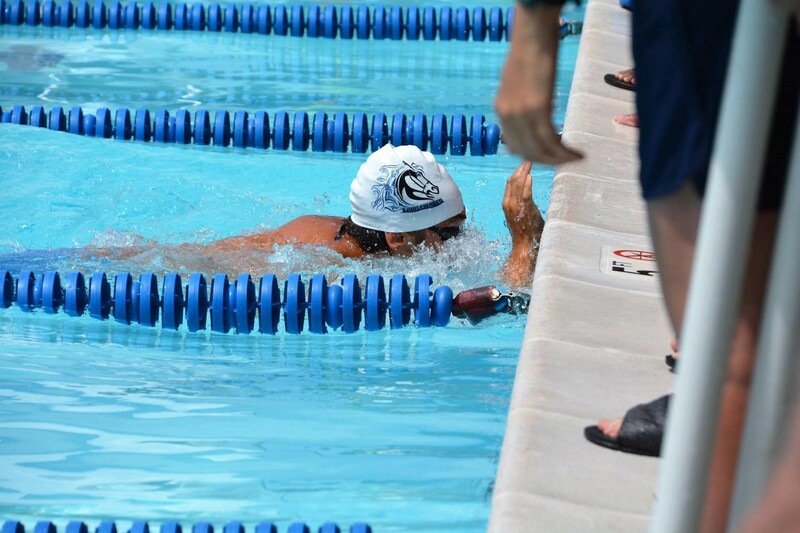 Paul Querijero lowered his 9-10 Boys mark to 30.78 seconds, Kaley Neal took down a 12-year old record with a 30.20 second swim to take over the best time for 11-12 Girls, and Joe Durocher swam his 50 meters in 26.06 seconds to claim the team record for the 13-14 Boys. Capping off the Freestyle events, Erin Quinn left her mark, breaking 27 seconds for the first time in PWSL history, with a new league record time of 26.58 seconds. Heading into the IM, the scores were holding close and the meet could have gone to any of the teams. The BWaves pulled ahead by the nine points at the end of the IM events on the strength of strong performances across the board. Querijero posted another team record, lowering his personal best to a time of 1:23.13 and Neal erased another legacy record from 2006, besting the previous standard by over a second and finishing in a swift 1:17.21. Jordan Durocher also lowered her record for the 13-14 Girls 100m IM with a time of 1:08.65. The BWaves saw their lead begin to expand during Backstroke as they took first place in 6 of the 10 events and broke two more team records. The 11-12 Boys Backstroke record from 2012 was superseded by Christian Carroll’s time of 34.27 seconds and Jordan Durocher struck again, when she lowered her previous record to a new time of 31.50 seconds. The BWaves finished backstroke with a 135-point lead. Ashland dominated the Breaststroke events, making up a lot of ground, while the BWaves struggled and yielded much of their lead. However, the BWaves saved two very impressive races for last. Georgia Johnson closed the Breastroke portion of the meet by leading the way in the 15-18 Girls event, setting a new team record of 35.08 seconds – a second and a half quicker than anyone else in the league for the day. Just before that race, however, Spencer Rowe completed his Summer swim career with an all-time performance in the Boys 15-18 50m Breaststroke event. Rowe took down the oldest and most elusive record in the PWSL books. His time of 28.97 seconds erased the 21-year old standard of 29.53 seconds set by Sudley’s Scott Werner. This swim makes him the only PWSL swimmer under 29 seconds in the event ever. Senior Spencer Rowe finished his BWaves swimming career with a sub-29 second 50m Breast record. Entering the Butterfly events, the meet had a new energy. Only 180 points separated first from third place and it was clear that the outcome was still very much up for grabs. The BWaves rose to the challenge and pushed their lead up to 200 heading into the relays, cracking four more team records along the way. Jacob Thorpe broke 19 seconds en route to his new record time of 18.95 in the 8&U Boys 25m Fly, while Paul Querijero completed his hat trick with a third new team record, touching in a time of 15.53 to improve on his 9-10 Boys 25m Fly standard, and Joe Durocher earned the top spot with his speedy time of 28.59 in the 13-14 Boys 50m Fly. But once again, it was Erin Quinn stealing the show with a blazing time of 28.57 seconds to etch her name on the League Record board for the 15-18 Girls 50m Fly. With this win, Quinn and her counterparts completed a convincing sweep of events for the 15-18 Girls age group on the day, lending stability and leadership to the team throughout the day. 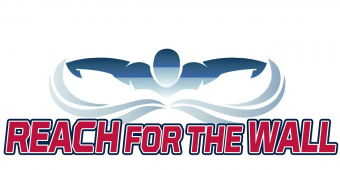 The 15-18 Girls anchored the BWaves efforts with dominant swims and a sweep of their events. With a sense of urgency, the Sharks took to the freestyle relays with a reckless abandon, claiming first place in five of the eight events. The BWaves claimed two of the relays and saw another team record broken, this time at the hands of the 11-12 Boys crew of Daniel Wu, Alec Shaughnessy, Will Woolf, and Christian Carroll. Ashland won the remaining relay, but fell out of contention for the championship. When all was said and done, the BWaves had weathered the storm and emerged victorious as back-to-back Red Division Champions. The final tally was as follows: BWaves – 3990.5, Sharks – 3870.5, and Stingrays – 3644. The BWaves would like to thank Dominion Valley and Ashland for a wonderful time and a well-contested meet.